Quark Expeditions has been one of the leading innovators and operators of expedition cruises, especially in polar regions, since 1991. The company has pioneered and developed a concept of fantastically adventurous journeys in first class comfort on powerful, polar icebreakers. 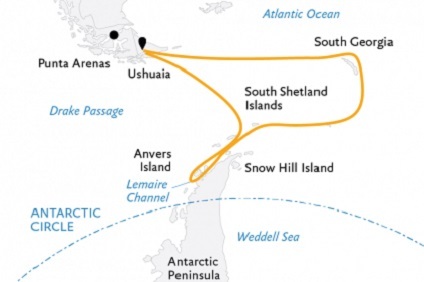 This concept is unique and many "First Ever" passenger voyages have been successfully operated: the first North Pole voyage, the first transpolar voyage through the North Pole, the first Circumnavigation of Antarctica, the first "Far Side" of Antarctica voyage, the first Weddell Sea voyage, the first Northeast Passage and the first Circumnavigation of the Arctic are all part of this tradition. 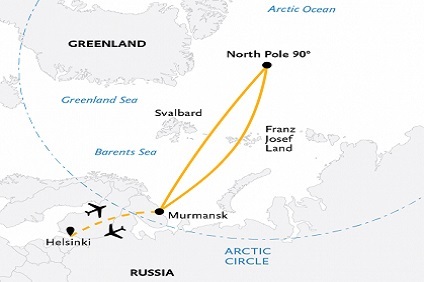 Names such as Amundsen, Scott, Shackleton, Franklin, Peary and Nansen are synonymous with the Golden Age of Exploration and, thanks to the polar climates, elements of the past have been well preserved. Viewing these historical sights is a great experience and worthy of care and respect. Quark Expeditions understands this and ensures that all our passengers are fully briefed before any visits take place. 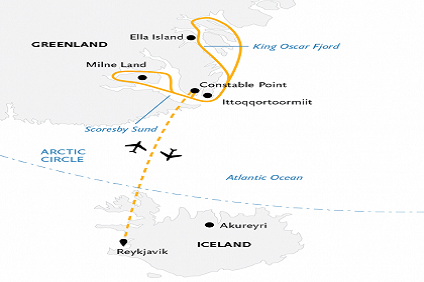 8 Night Cruise sailing from Longyearbyen roundtrip aboard Ocean Adventurer. 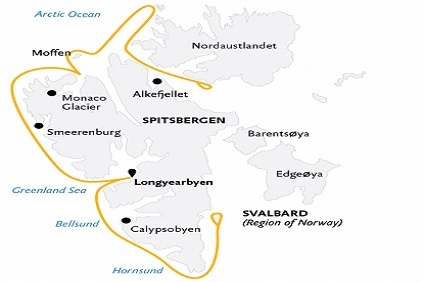 10 Night Cruise sailing from Longyearbyen roundtrip aboard Ocean Nova. 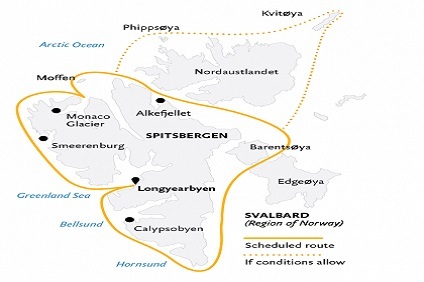 12 Night Cruise sailing from Longyearbyen roundtrip aboard Ocean Adventurer. 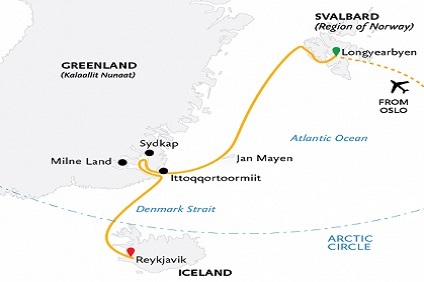 8 Night Cruise sailing from Longyearbyen roundtrip aboard Ocean Nova. 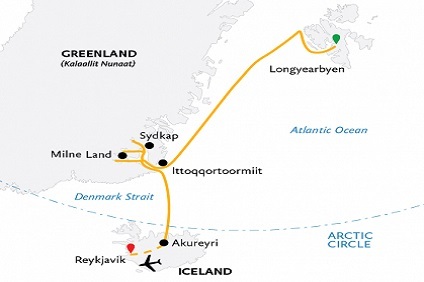 12 Night Cruise sailing from Longyearbyen to Akureyri aboard Ocean Adventurer. Charter flight from Akureyri to Reykjavik. 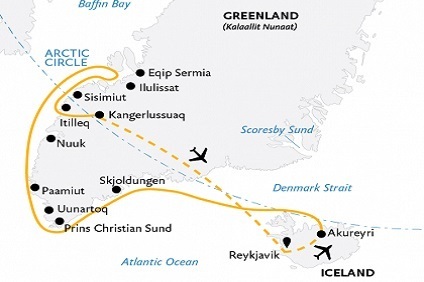 12 Night Cruise sailing from Akureyri to Kangerlussuaq aboard Ocean Adventurer. Hotel stays pre & post cruise in Reykjavik. 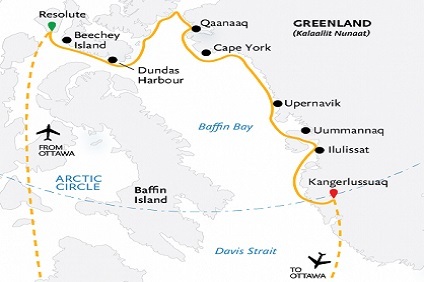 7 Night Cruise sailing from Constable Point roundtrip aboard Ocean Nova. Hotel stays pre and post-cruise in Reykjavik. 14 Night Cruise sailing from Resolute to Kangerlussuaq aboard Ocean Adventurer. Hotel stays pre & post cruise in Ottawa. 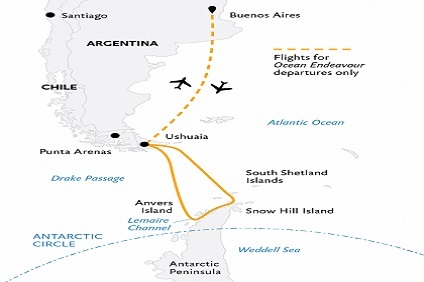 9 Night Cruise sailing from Ushuaia roundtrip aboard World Explorer. Hotel stay pre-cruise in Ushuaia. 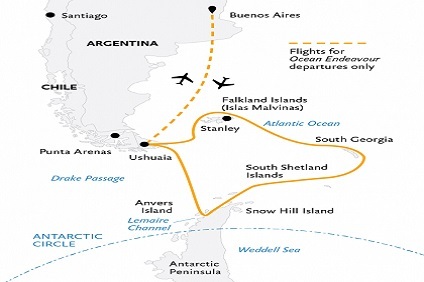 9 Night Cruise sailing from Buenos Aires roundtrip aboard Ocean Endeavour. Hotel stay pre-cruise in Buenos Aires. 9 Night Cruise sailing from Ushuaia roundtrip aboard Ocean Diamond. 1 night hotel stay pre-cruise in Ushuaia. 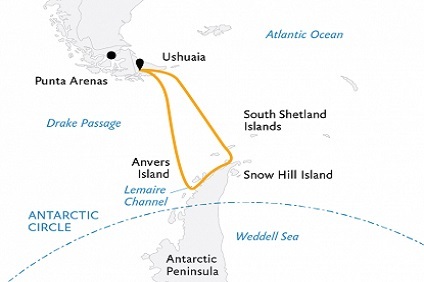 9 Night Cruise sailing from Ushuaia roundtrip aboard Ocean Adventurer. 1 night hotel stay pre-cruise in Ushuaia. 18 Night Cruise sailing from Ushuaia roundtrip aboard Ocean Endeavour. Hotel stay pre-cruise in Buenos Aires. 14 Night Cruise sailing from Ushuaia roundtrip aboard Ocean Diamond. Hotel stay pre-cruise in Ushuaia. 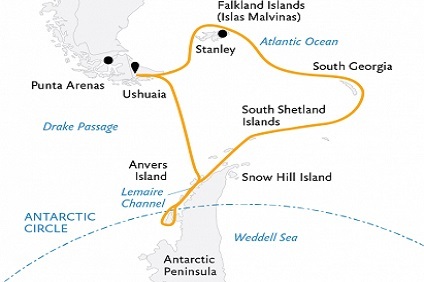 5 Night Cruise sailing from King George Island roundtrip aboard Ocean Adventurer. Hotel stays pre and post cruise in Punta Arenas. 10 Night Cruise sailing from Ushuaia roundtrip aboard World Explorer. Hotel stay pre-cruise in Ushuaia. 10 Night Cruise sailing from Ushuaia roundtrip aboard Ocean Diamond. 1 night hotel stay pre-cruise in Ushuaia. 21 Night Cruise sailing from Ushuaia roundtrip aboard Ocean Diamond. 1 night hotel stay pre-cruise in Ushuaia. 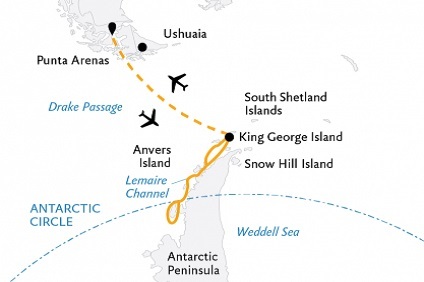 8 Night Cruise sailing from King George Island roundtrip aboard Ocean Adventurer. Hotel stays pre and post cruise in Punta Arenas. European chefs prepare excellent international cuisine using fine provisions from around the world. A European barman attends the bar which features a good selection of wines, champagne and spirits. The dining room is attended by a combination of Russian and Western Staff. As the customary gratuity to the ship's personnel is divided amongst the entire crew/hotel staff, the following suggested guidelines are for passengers convenience: US$9.00 - US$12.00 per person, per day. As stated, this is only a guideline and the amount passengers wish to give is at their discretion and can be added to their shipboard account.